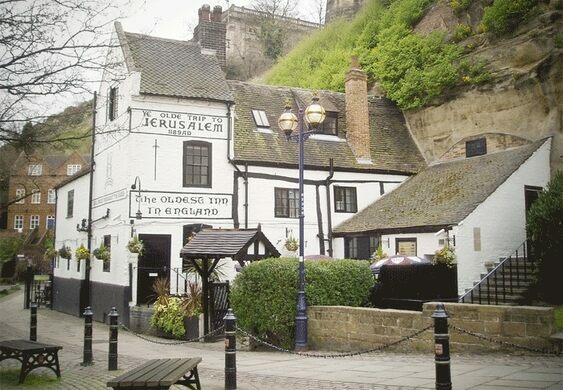 Built on a series of caves under Nottingham Castle, Ye Olde Trip to Jerusalem is the oldest inn in England, and allegedly served some famous historical clientele. A spooky juxtaposition of caves and graves gives this legend-filled cemetery a particularly haunting vibe. 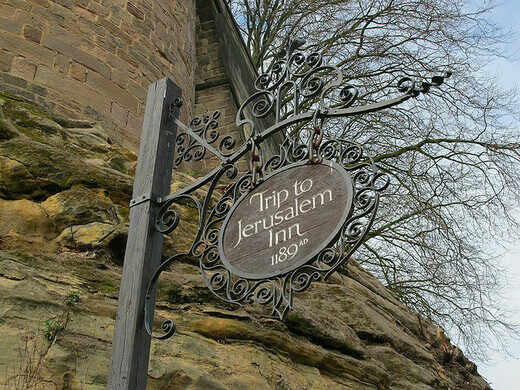 According to legend, the pub was used as a refreshment stop for crusaders heading to Jerusalem in the 12th century. Some accounts even have knights, under the direction of King Richard the Lionheart, casually stopping by the pub for ale before heading out to fight the saracens, and whoever else got in their path. 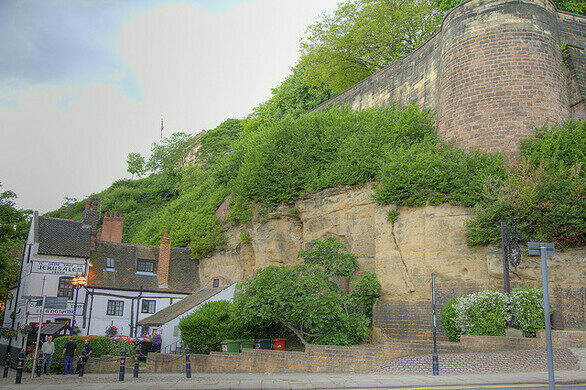 Situated at the base of the cliffs beneath Nottingham Castle, the pub began as a brewhouse in the 12th century to provide a sterile beverage for the people of Nottingham. Since that time, the pub has remained in the same place, tucked into the rock wall in front of the castle. Although the current building does not date back to the 12th century, the location is the same as the castle brewhouse. 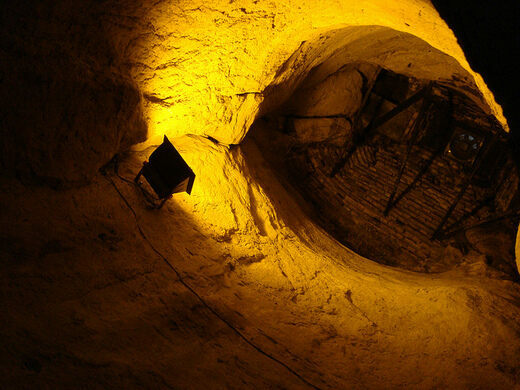 In the 12th century, the rock caves below the castle were the perfect environment for brewing, and the remnants of this original brewhouse can still be seen in the series of cellars and underground passages below the current pub. Evidence of its medieval use has also been found, including a speaking tube running from the castle to the brewhouse, where orders for ale could be placed. Although you can’t place your order by cave tube anymore, the pub remains a fixture of history and a major point of pride in Nottingham to this day.